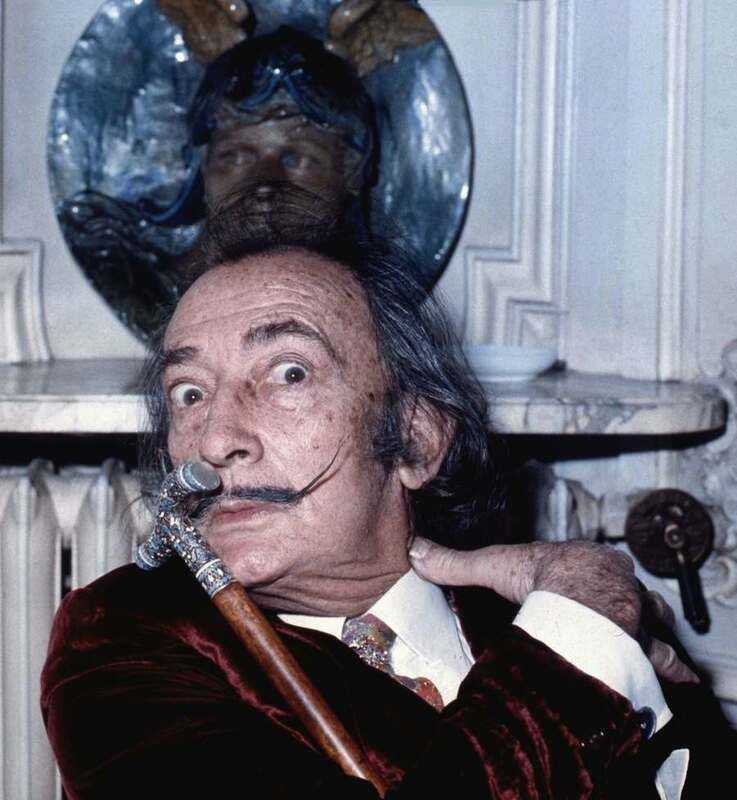 Allan Warren’s Portrait of Salvador Dali, taken in Hôtel Meurice, Paris, 1972. Allan Warren began taking photographs when he was a teenage actor appearing in Alan Bennett’s play Forty Years On alongside John Gielgud in London’s West End. Warren had attended the stage school Terry’s Juveniles, where he met a young Marc Bolan, who was performing under the name Toby Tyler. Warren later became Bolan’s first manager. From taking portraits of his fellow actors, Warren had his first assignment–photographing his friend Mickey Deans, who had asked him to cover his wedding to the legendary Judy Garland. 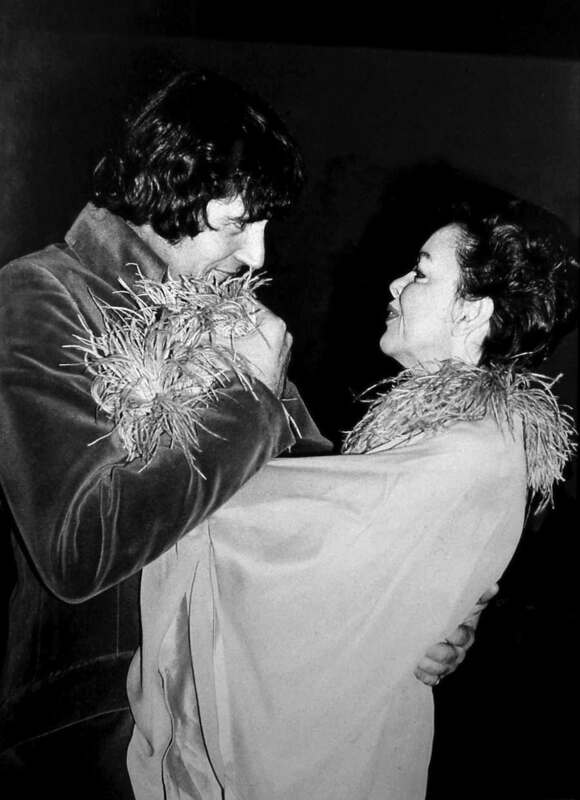 Allan Warren’s wedding photograph of Judy Garland and Mickey Deans, 15th March 1969. From “wedding photographer”, Warren quickly distinguished himself as one of the foremost portrait photographers to the great and the good of theatre, film, literature and art, taking some of the most famous pictures of the likes of Cary Grant, Salvador Dali, Alec Guinness, Terence Stamp, Britt Ekland, Christopher Isherwood, Nureyev and Liberace. 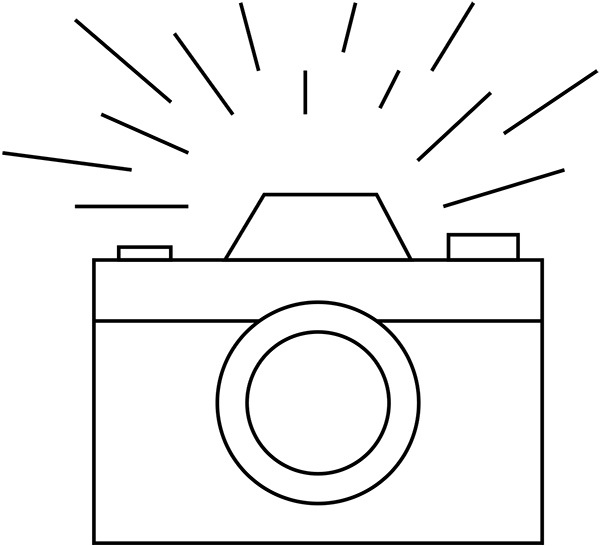 He also photographed politicians and members of the British Royal Family. In the 1980s, he documented all 26 non-royal and four royal dukes. His work has been published in innumerable magazines and published in a series of books beginning with Nobs & Nosh–Eating with the Beautiful People (1975) and most recently Stand By To Repel All Boarders (2014). 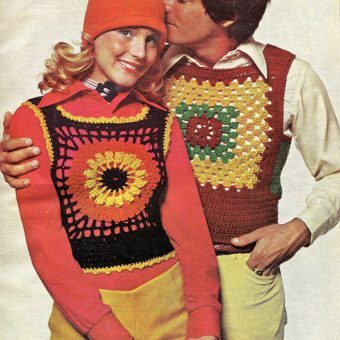 Apart from his career as a photographer, Allan warren is a successful playwright and inventor of the Hankybreathe. 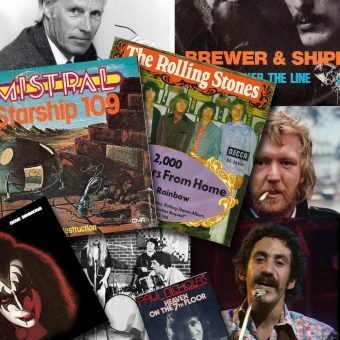 Most recently, Warren freely donated a large part of his superb back catalogue to Wikipedia–where most of these pictures can be found. Henry Moore with one of his sculptures in his workshop, England by Allan Warren, 1975. 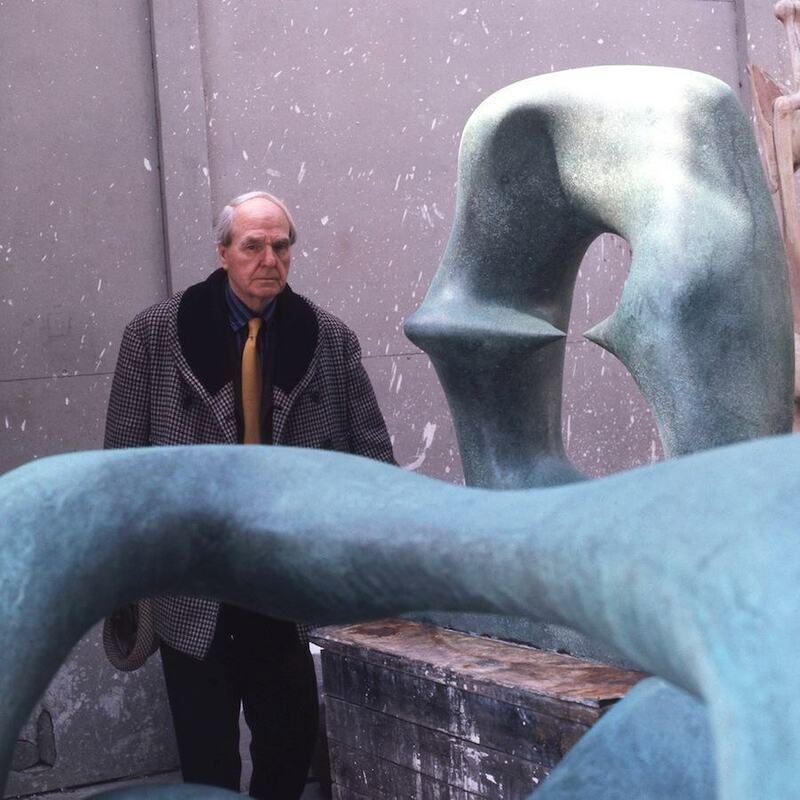 The artist Henry Moore was influenced by Picasso (the solidity of flesh, the abstraction of figures) and primitive art, in particular Mexican which he described as ‘a channel for expressing strong hopes, beliefs and fears.’ Moore’s work continued in the tradition of celebrating the human condition, with an aim to bringing an affinity between the human figure and the landscape. 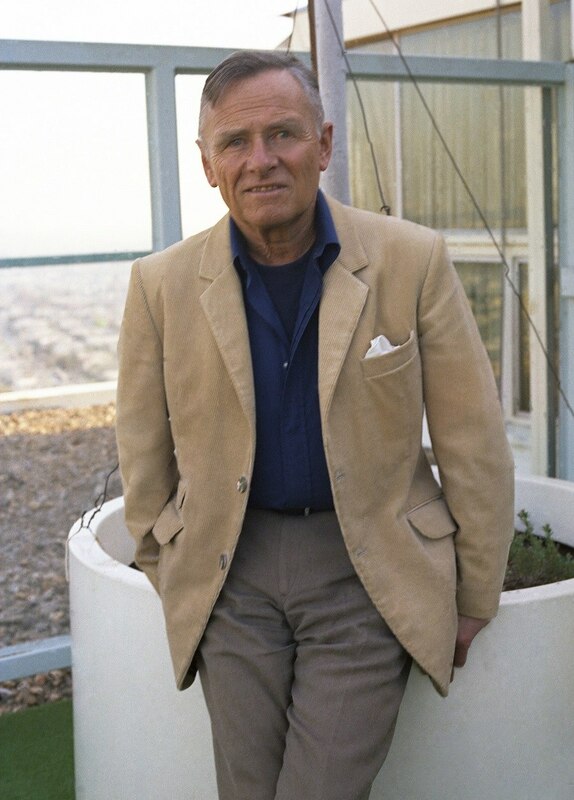 Christopher Isherwood in California, 1973 by Allan Warren. The writer Christopher Isherwood once advised his young partner Don Bachardy to stand up straight and walk with pride–as though being led through baying crowds to face the guillotine. It reveals Isherwood considered himself more with the despised nobility than the revolutionary mob–after all, he was born into an upper-middle class family–an English landed estate with an absent solider father and dominating mother. An elderly relative had once warned Isherwood against Berlin–telling him “it was the most vilest place since Sodom.” The warning had the opposite effect and in 1929, Isherwood travelled to the city for the first time and the sexual freedom he experienced changed his life. He used the city’s liberating effect in his second novel The Memorial (1932), where a shell-shocked war veteran quits England for Berlin with the intention of committing suicide. He fails and is “reborn” into a promiscuous, Bohemian lifestyle. 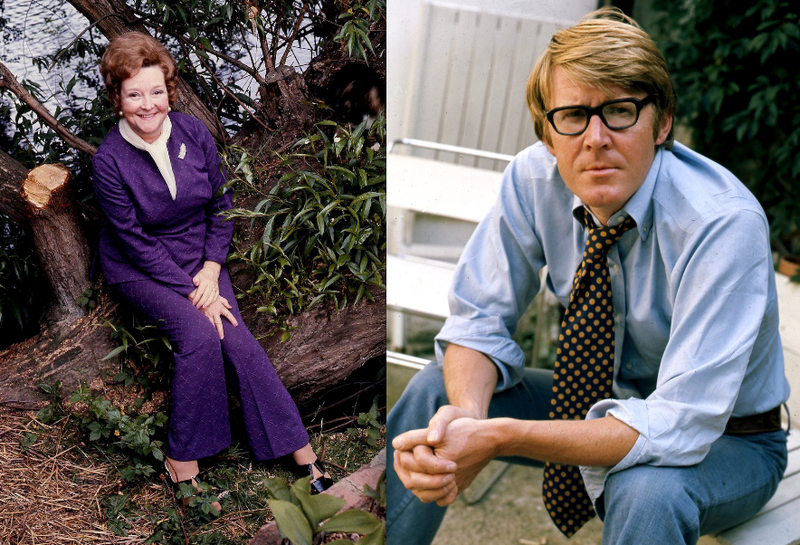 Allan Warren’s portraits of Beryl Reid at her home Honeypot Cottage, London, 1974, and Alan Bennett in his garden, 1973. 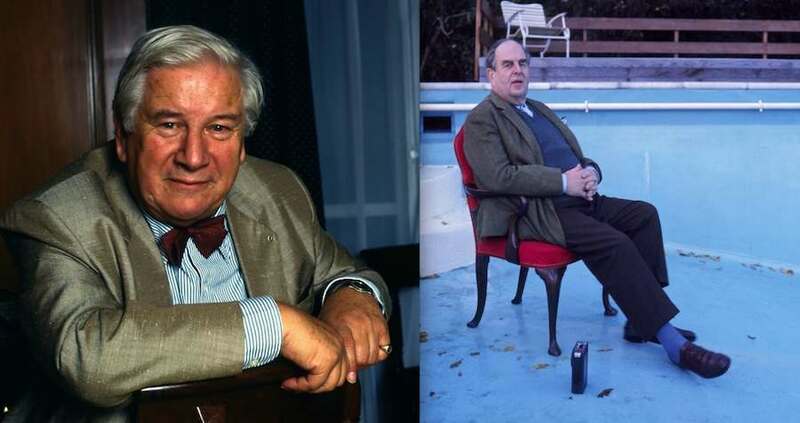 Allan Warren’s Portrait of Peter Ustinov (1986), and Robert Morley in his swimming pool (1973). Both Peter Ustinov and Robert Morley were a chat show host’s dream, as both men were intelligent, witty, highly entertaining and superlative story-tellers. Once when Morley was on the ill-fated Simon Dee show in the 1960s, the host appeared to have little idea who or more probably why he was interviewing the great Morley and turned to his audience to ask questions. With none forthcoming from an embarrassed audience, Morley suggested he should be asked, “Why are you so fat?” and with great self-deprecating charm commenced to explain why. Portrait of Britt Ekland at her apartment in Half Moon Street Mayfair London, 1972, by Allan Warren. 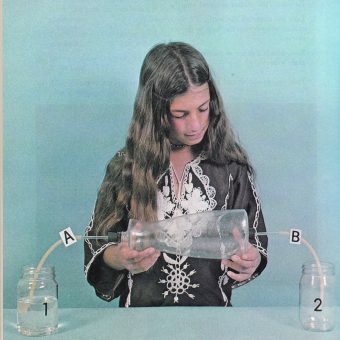 Portraits of Laurences Olivier (1972) and Harvey (1974) by Allan Warren. 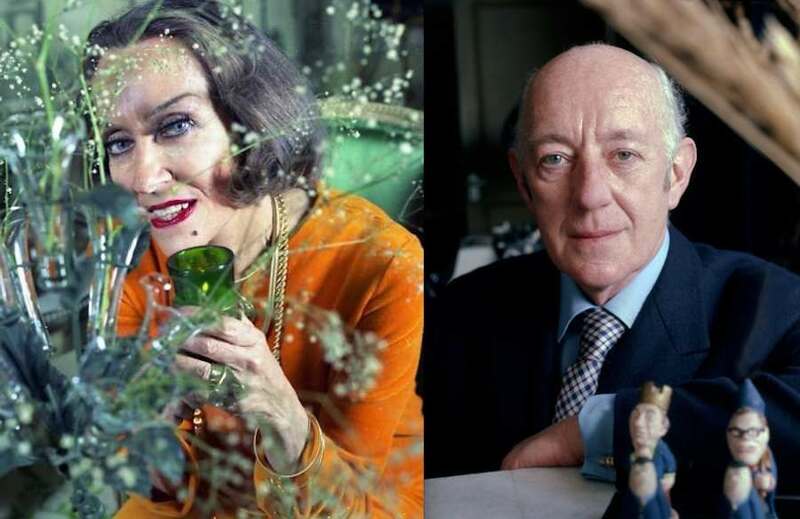 Allan Warren’s portraits of Gloria Swanson in her New York apartment (1972), and Alec Guinness in the photographer’s studio (1972). 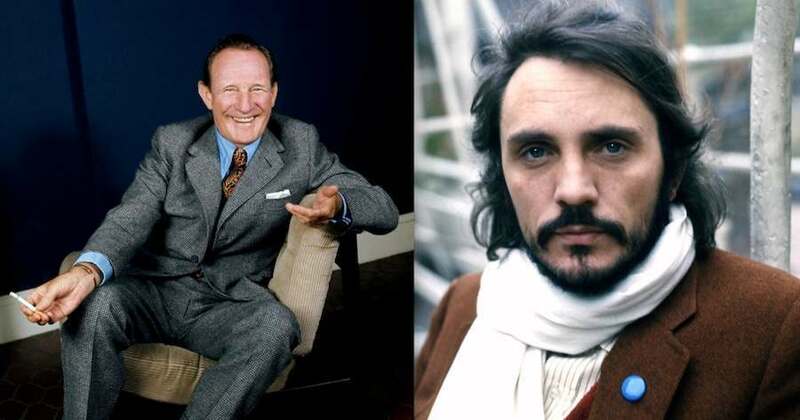 Trevor Howard in his agent’s office, London, 1973, and Terence Stamp, London, 1973, by Allan Warren. Terence Stamp and Michael Caine once shared a flat in London during the early 1960s. Stamp was the star, with Billy Budd, Term of Trial and The Collector to his CV, while Caine was still working his way up. The turning point for Caine came when Stamp knock-backed the title role of Alfie, a role Stamp had made his own on Broadway, but didn’t want to reprise on film. Caine spent a long night trying to change his friend’s mind. He failed and the role was given to Caine. Stamp began to seek some spiritual meaning to his life, which eventually led him abroad. “This thing which came later was a feeling of an inner emptiness success didn’t fill. I had assumed that this inner poverty would be transformed when I became rich and famous. And it took me a few years of being rich and famous to understand that the inner void was very much there. “And, you know, if I couldn’t fill it with one Rolls-Royce, I couldn’t fill it with three. Peter Sellers at his home in Belgravia, London, 1974 by Allan Warren. 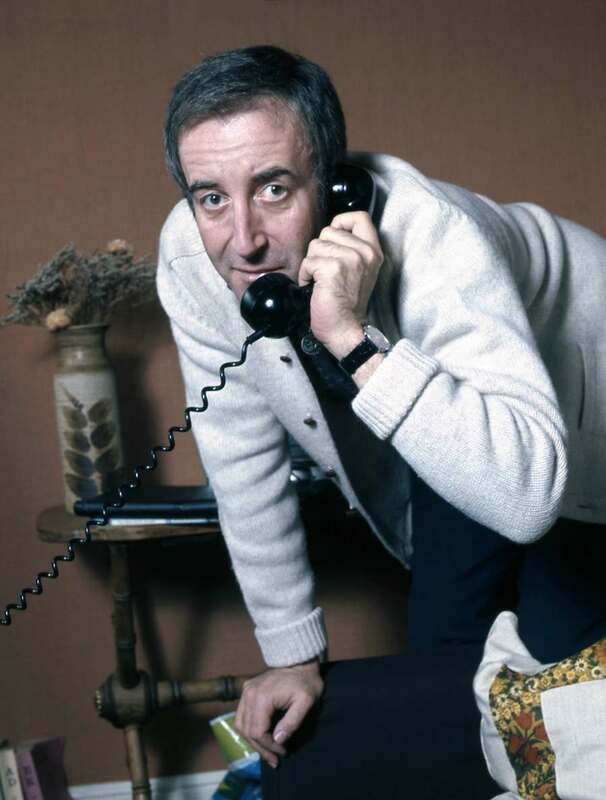 Peter Sellers once received a letter from a fan requesting a “singed photograph of yourself.” Sellers obliged, carefully burning the edges of a black and white 10 x 8 with a cigarette, before sending it off to his admirer. 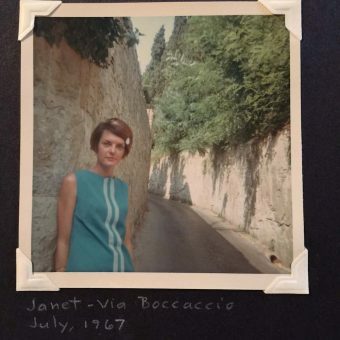 A week or so later, the fan wrote back asking Sellers if he would be so kind to send another photograph, as the last one was “signed” all around the edges. 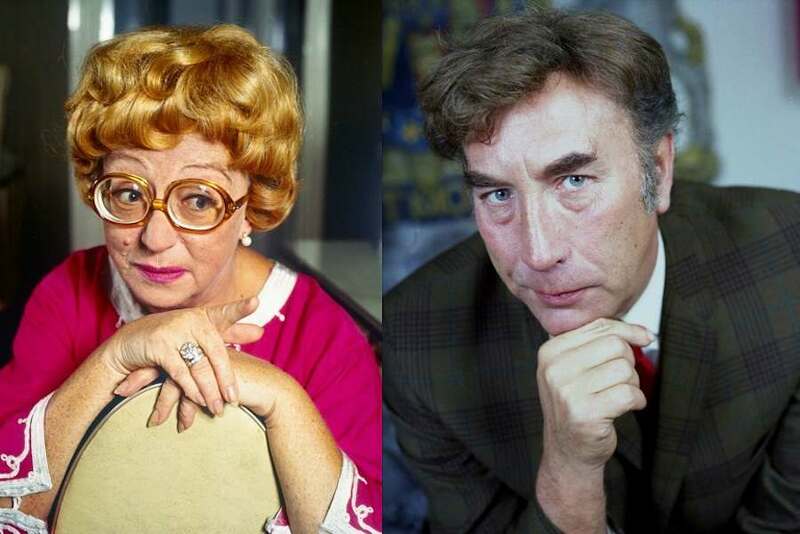 Thora Hird at home, 1974, and Frankie Howerd at his home on Kinnerton Street, London, 1976. 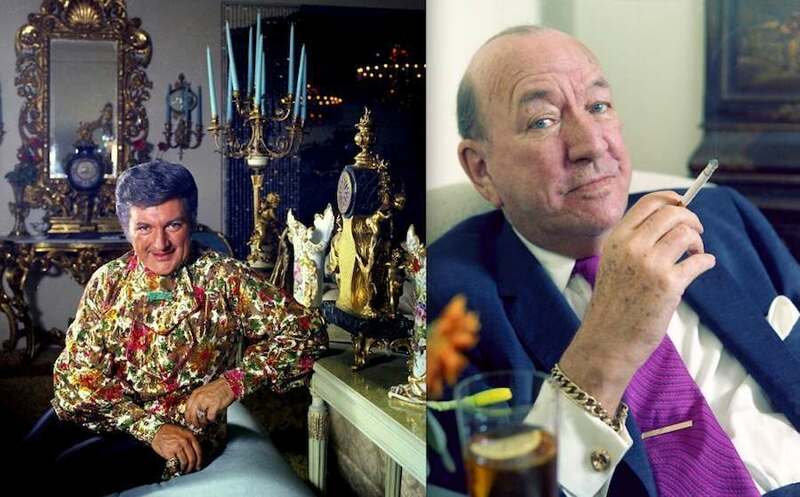 Allan Warren’s portrait of Liberace at his home in Los Angeles, 1974, and portrait of Noel Coward for his last Christmas card, 1972.